While many people happily send their kids away to summer camps and boarding schools, the thought of parting from their pet is near blasphemous. In fact, Americans are so crazy about their pets that it’s estimated they will spend nearly $70 billion on them in 2017. For the pet obsessed, how can you ease the daily heartbreak of leaving your animal at home? Better yet, what mischievous actions are they up to while you're away? 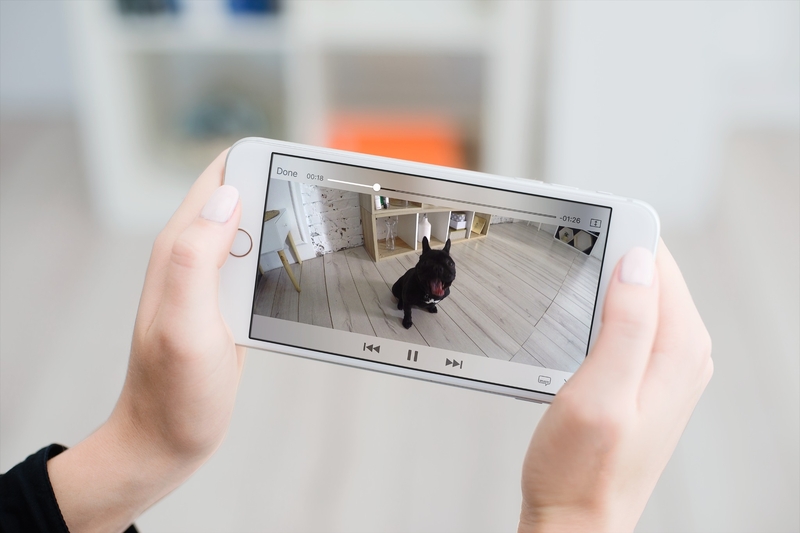 Petcube is a connected camera system that lets you monitor, play, and, feed your dog or cat from wherever you are. 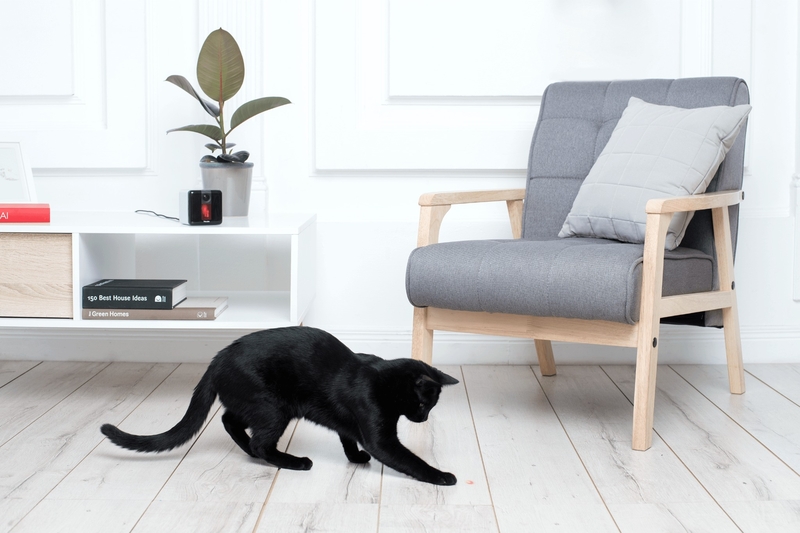 Petcube’s integrated system makes it easy to remotely check-in on your pet throughout the day. Using sound and motion sensors, the mobile app notifies you of any movement within the camera’s range. The two-way microphone lets you listen and speak to your pet while watching through the 1080p streaming video. Petcube offers two variations of their camera. The Petcube Bites lets you remotely fling treats at distances up to 6 feet. When the device, which stores up to 2 lbs of treats, begins running low, you'll receive a notification allowing you to easily order more through Amazon Dash Replenishment Service. For cat owners, the Petcube Play might be the more intriguing device. Similar to the Bites, the Play has high definition steaming video and sound. However, instead of a food launcher, the Play has a built in laser pointer, which you control through the app. Coming a long way from their 2013 Kickstarter campaign, where they raised over $250,000, Petcube just closed a $10 million round of funding. In addition to spending on development and international sales expansion, the company plans to continue helping rescue animals through partnerships with organizations like the San Francisco SPCA. If you would like to stay connected with Petcube, you can follow them online at Dealspotr, Facebook, Instagram, and Twitter. The Dealspotr Marketplace is an upcoming new platform that better connects merchants with influencers and shoppers. Are you a retailer? Claim your page on Dealspotr and start promoting exclusive deals, control your page presence, and collaborate with influencers. If you would like more information on claiming your merchant page, or to how to become featured in one of our running blog series, please feel free to reach me at jimmy@zipfworks.com. This guide was published on October 25, 2017, and last modified on October 25, 2017.